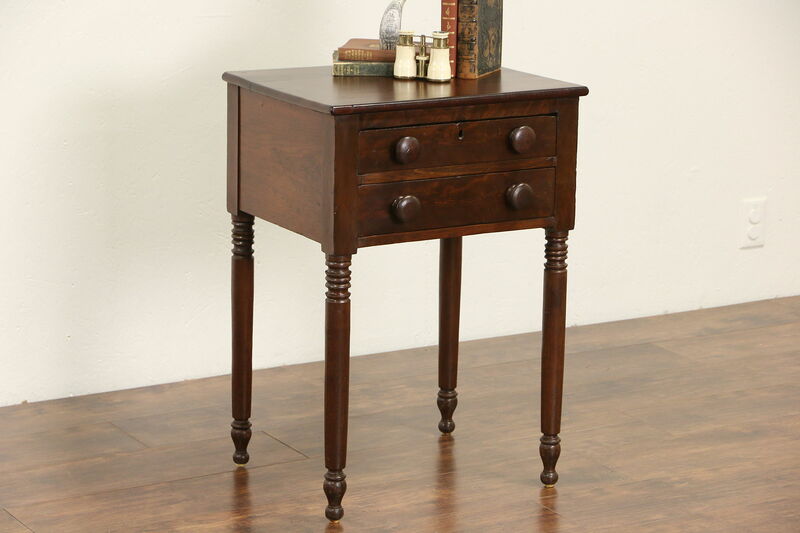 Hand crafted in New England during the Sheraton period around 1830, this sweet little end or lamp table makes a nice nightstand as well. Drawers have hand cut dovetail joints, chamfered bottoms and flame mahogany fronts. Original cut square nails secure the walnut and poplar frame. The old finish on the base has been waxed and buffed, the top has a renewed finish for durability, preserving lots of wear, shrinkage separations from age and stains for antique character. Size is 20" wide, 17" deep and 29" tall.